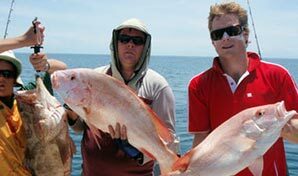 Welcome to the remote, unspoilt beauty of Cape York Peninsula. Captain Cook's arrival on the banks of the Endeavour River in 1770 led to his first recorded meaningful contact and reconciliation with Aboriginal people. Discover this unique history and Cooktown's colourful past on a stroll around town, then head further north up the Peninsula to experience the raw beauty of one of Australia's last true frontiers. 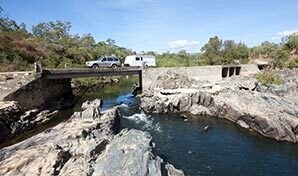 Renown for some truly adventurous 4WD experiences and great outdoor camping, Cape York Peninsula is a favourite with keen fishing enthusiasts, history buffs and those getting away from it all. Avid birdwatchers come from around the world and nature lovers are stunned by the raw beauty of this tropical wonderland. The lush tropical rainforests and vast stretches of savannah country with rivers and wetlands, are just some of the features of Cape York's wild landscapes. From rugged ranges and unique wildlife, to stunning sunrises over the Great Barrier Reef and fiery sunsets in the west, explore the incredible history, spirit that make the Cape York Peninsula such a memorable holiday destination. Whether you plan to take a self-sufficient camping holiday or indulge yourself on a luxurious deserted island, follow the backpacker trail or seek a rainforest retreat there is a variety of accommodation options to suit all budgets in Cooktown and Cape York Peninsula. Cooktown has a variety of accommodation options including caravan parks and campgrounds in beautiful natural surroundings, working cattle station and farmstays, comfortable hotels and motels and nearby rainforest retreats. 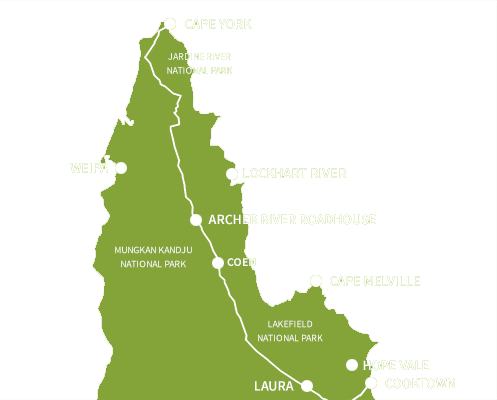 There is a choice of farmstay, cabin and camping accommodation in the Hopevale and Elim Beach area, and camping, cabin and simple hotel accommodation at Lakeland and at Laura.